Who was the greatest conductor of the 20th century? Re: Who was the greatest conductor of the 20th century? Ken wrote: Do we measure greatness in terms of impact and influence? If so, then probably Furtwängler, Toscanini, and Karajan---not necessarily in that order. I might be biased, but I'm not blind to history! Lance wrote: Recorded too little? I just counted approximately 300 CDs with Monteux's participation. He recorded prolifically, as did Schuricht and Furtwängler, especially if you consider all the live recordings issued alongside the commercial discs which were often fewer in count than the live recordings. With Reiner, I have about 200 CDs of his work represented, including, of course, live performance and reissues, etc. Of course, I do get the drift of your comment nonetheless. On the other hand there are few (if any) of the silent era actors/actresses whose work I collect. (Probably I am missing something. The only exception to that is the silent films of Charlie Chaplin. Jack Kelso wrote: How odd that so many folks here chose as "greatest" conductors who recorded so relatively little---Carlos Kleiber, Horenstein, Monteux, even Beecham, Furtwängler, Schuricht and Reiner. And much of it not even in hi-fi. It would be like choosing the greatest actor/actress of the last century from the "silent era".....there is simply too much missing. What standards are you using, Jack? Number of works, or number of recorded performances? He had overlapping recording contracts in the 1950s; and his pre-war LPO discs? He cranked 'em out like hotcakes. And his later RPO years were just about as prolific. And then there's that humongeous body of concertr recordings: the BBC's still sitting on a bunch of them they never released on their own label. And the variety of ensembles on record: besides British orchestras (including Covent Garden), there are the New York Phil., the Los Angeles Phil., the Boston Sym., the Detroit Sym., the CBS, NBC and ABC Sym's.,The Chicago Sym., the Montreal Sym., the Toronto Sym., the Seattle Sym., the Philadelphia Orch., France's ORTF, and tons more I can't dredge up from my brain this early in the morning without a java jolt. Altogether, close to 150 concerts. Jack Kelso wrote: How odd that so many folks here chose as "greatest" conductors who recorded so relatively little--,. . . . . Horenstein, . . . . . I said Horenstein was one of the most versatile conductors, and prefaced my remarks with the caveat that it's impossible to choose a single greatest conductor. Generally, number of available stereo performances. Mono/non hi-fi just don't do it for me, so Schuricht's recording of Schumann's Second or Toscanini's of Beethoven's Fifth are of some historical interest to me, but not approaching live performances standards. For whatever it's worth, we have a VERY sensitive stereo set, which brings out all the imperfections of any recording. In Ormandy's or Reiner's day, it wasn't the normal procedure to tackle any one composer's complete symphonic output, but some did, e.g., Münch, Paray and Szell were among the first to record the Schumann cycle. I don't know of anyone who at the time did the Tschaikowsky cycle----and no one back then did more than a couple of those by Bruckner or Mahler. 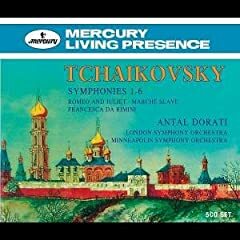 Dorati recorded an excellent Tchaikovsky symphony cycle with the London Symphony back in the 1960's, FWIW. THAT LOOKS LIKE SOLTI. i SAW HIM CONDUCT BORIS AT THE MET. Jack also apparently neglected to mention Weingartner's complete Beethoven & Brahms cycles (hey, now there's a maestro to start a thread on!!). Wallingford wrote: Jack also apparently neglected to mention Weingartner's complete Beethoven & Brahms cycles (hey, now there's a maestro to start a thread on!!). Yes, I'm aware of Weingartner's AND Furtwängler's cycles, but I don't count them for me unless they're in stereo (or at least hi-fi). The three conductors I mentioned recorded theirs in stereo. I also have the Furtwängler Schumann Fourth, and while it's interesting I know of more recent recordings that are more intense, stick closer to the composer's intentions (i.e. the score) and have far better sound (1852 version---original scoring, of course!). Now THERE is a set I'd like to get! I love Dorati's style (we share a birthday, 9 April!). How does he do them? Have you heard them? Quite energetic and straightforward, as you would expect from Dorati. Unfortunately, Amazon lists the set as discontinued, but they offer an .mp3 download, if you're interested in that. Great stuff! Well, as long as you're adhering to those criteria: Ormandy did complete Beethoven and Brahms cycles during the stereo era (a darn good Brahms cycle, all told).....Rachmaninoff, too. 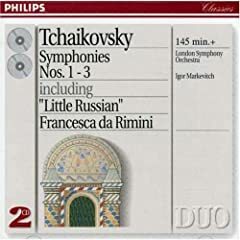 AND a complete Tchaikovsky cycle in the RCA stereo era--Manfred included. I once heard Ormandy's Brahms First, but never dreamed he did all four in stereo! Was this on Columbia? Why haven't I ever seen them in shops over the last forty years or so...?! Reiner did the Brahms Third and Fourth. His Third is in a category all by itself. His Fourth has a bit too munch rubato at the coda of the 1st movement for my taste. My bottom line: why do so many music-lovers feel that all---or most---of the truly "great" conductors lived in the pre-hi-fi/stereo era? German radio occasionally brings "historische Aufnahmen" (historical recordings).....so I've heard dozens of these from the 1920's up through the 1950's. Thereafter, most are in stereo. I was amazed just a few weeks ago to find the famous and acclaimed Hans Rosbaud/SWR Sinfonieorchester performance of Bruckner's Seventh in STEREO! I snapped it up, natch! Sounds terrific! Jack Kelso wrote: I once heard Ormandy's Brahms First, but never dreamed he did all four in stereo! Was this on Columbia? Why haven't I ever seen them in shops over the last forty years or so...?! The 60s recordings of the 1st and 2nd were available for a pretty long time on a two-disc set from the Sony Essential Classics line. The stereo 4th was rereleased as part of the Ormandy Great Conductors of the Century release on EMI. I don't think the 3rd has been commercially available on CD, but the opening movement is one of the more powerful on record. The recordings of the 1st and 4th are also very good, as is the earlier stereo 1st. I wouldn't put Ormandy up there with Furtwangler, Walter or Jochum as a Brahms conductor, but he was better than average; much better as a Brahms conductor than he was as a Beethoven conductor, IMO. While I prefer Furtwangler in 1 and 4 and Walter/NY in 2 and 3, I'd probably rate the Jochum/BPO recordings from the early 50s on DG as the best complete Brahms symphony set on the market in terms of being consistently excellent throughout all four recordings (unless you demand stereo, of course ... but this Jochum has high quality sound for a mono release). Then there is his wonderful recording of the D-Minor concerto with the BPO and Gilels. The orchestral accompanyment in that recording is nothing short of spectacular. Of course, Jochum's style and use of rubato is always going to rub some people the wrong way. I'm not one of those people though. Jack Kelso wrote: Reiner did the Brahms Third and Fourth. His Third is in a category all by itself. His Fourth has a bit too munch rubato at the coda of the 1st movement for my taste. There is a live Reiner Brahms Sym #2 with NYPO from 1960 - it is a knockout - very thrilling..
His 4th with RoyPo is one of the very best -along with Toscanini/NBC - at the top of the heap. Jack Kelso wrote: I was amazed just a few weeks ago to find the famous and acclaimed Hans Rosbaud/SWR Sinfonieorchester performance of Bruckner's Seventh in STEREO! I snapped it up, natch! Sounds terrific! That recording has been around since the days of early stereo LPs, coupled with Rosbaud's fine recording of Mahler's Das Lied with Grace Hoffmann and Helmut Melchert, same orchestra. The Mahler was recorded in 1957 and the Bruckner in '58. Vox reissued both recordings in a remastered Vox Box Legends two CD set in 1995. Both are great performances. Jack,I've never believed that "all the greatest conductors lived before the stereo/Hi Fi era", although many nostalgia-minded critics and fans today seem to think so. Monteux,Munch, Szell, and other great names all lived long enough to make acclaimed recordings in good sound. And the present day is hardly lacking in great conductors. 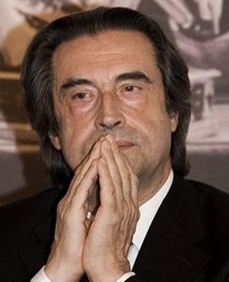 Nagano, Ozawa,Previn, Rattle,Rozhdestvensky, Salonen, Skrowaczewski, Slatkin, Thomas, Temirkanov,Thielemann, and Zinman, to name only some , has nothing to be ashamed of. And with great young talents such as Dudamel, Nezet-Seguin,Jurowski, etc coming into prominence, the future of conducting looks very promising. THEHORN wrote: Jack,I've never believed that "all the greatest conductors lived before the stereo/Hi Fi era", although many nostalgia-minded critics and fans today seem to think so. I agree completely. And thanks to all here for the great info about some older stereo recordings of which I knew not. Nagano, Ozawa,Previn, Rattle,Rozhdestvensky, Salonen, Skrowaczewski, Slatkin, Thomas, Temirkanov,Thielemann, and Zinman"
It rather depends on what one means by 'great' - more, surely, than just being more or less well known. There are thirty names here. If one were to put them into three divisions I'm not sure even then that all ten of the 'first division' would qualify as 'great'.